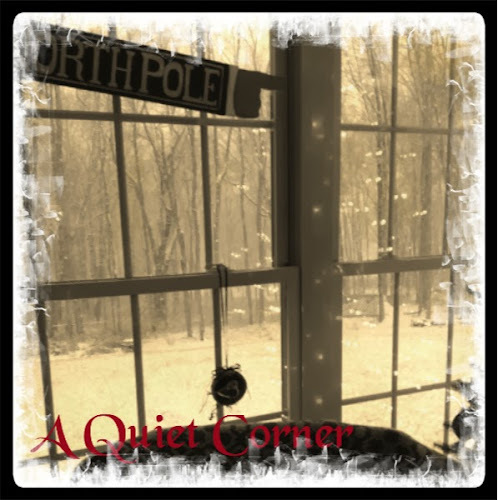 here in "A Quiet Corner"
Thank you,,, wishing you the same and a very Happy New Year! Merry Christmas....time to get up and rockin' over here. Happy Holidays and looking forward to what you share with us in 2014! (¸.·´ (¸.·´ .·´ Merry, Merry Christmas JP, Pres, Copper and Moon! Thank-you for your always kind and supportive comments you've left on my blog. I have enjoyed my visits to your blog this past year, and look forward to keeping up with you in 2014!